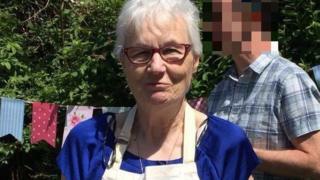 Opportunities are being missed to spot victims aged over 60 that are at risk of being killed by a loved one, an academic has warned. 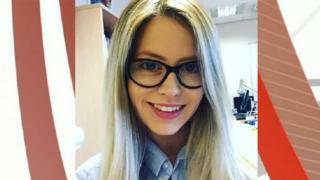 A quarter of domestic homicide victims from 2010 to 2015 were over 60, Durham University’s Dr Hannah Bows said. She said systems to identify potential victims were “not fit for purpose”. The Home Office said it was “committed to tackling violence against older people” and was funding initiatives as well as conducting reviews. Dr Bows said people older than 60 account for 18% of the UK population but 25% of domestic homicide cases. She said assessments to identify potential victims did not relate to older people. “For example, there are a lot of questions about being pregnant or if a person has had children recently. Dr Bows added: “Older people are less likely to be in touch with professionals who have been trained to recognise signs of domestic violence in younger women such as midwives and health visitors. As well as overhaul of training and risk assessments, Dr Bows also wants to see more specific data for future studies. A Home Office spokesperson said: “Like other forms of abuse, attacks on older people are all too often hidden behind closed doors and so tackling it requires a collective effort, right across government and society. “We have funded specific services which support older people, including providing £100,000 to Jackson’s Lane in North London to engage older people in community-based activities to increase their understanding of well-being, harassment and domestic abuse. “We have also asked Her Majesty’s Inspectorate of Constabulary and Fire and Rescue Services to review older people’s experiences of the criminal justice system. Next articleIs anyone really hopeless to examine Solo: A Star Wars Story?